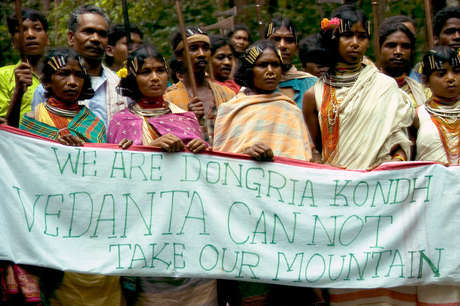 The Dongria Kondh tribe inspired millions when they won a ‘David and Goliath’ battle against mining giant Vedanta Resources. 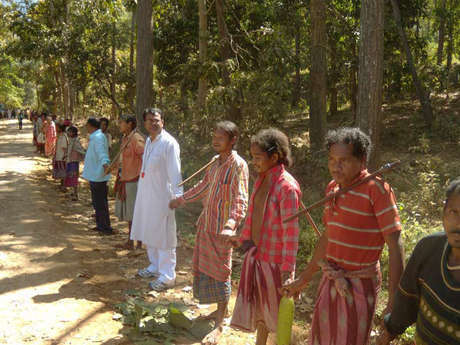 The tribe vowed to save their Niyamgiri Hills and their self-sufficient way of life. Now their lands and lives are under threat again. Their leaders are being harassed by police and imprisoned under false charges. The Dongria feel the government is trying to destroy their community in order to allow mining. 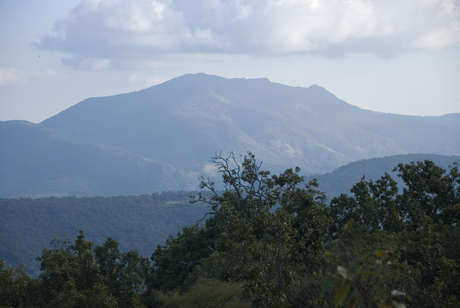 The Niyamgiri hill range in Odisha state, eastern India, is home to the Dongria Kondh tribe. Niyamgiri is an area of densely forested hills, deep gorges and cascading streams. To be a Dongria Kondh is to farm the hills’ fertile slopes, harvest their produce, and worship the mountain god Niyam Raja and the hills he presides over, including the 4,000 metre Mountain of the Law, Niyam Dongar. The deep reverence that the Dongria have for their gods, hills and streams pervades every aspect of their lives. Even their art reflects the mountains, in the triangular designs found on village shrines to the many gods of the village, farm and forests and their leader, Niyam Raja. They derive their name from dongar, meaning ‘hill’ and the name for themselves is Jharnia: protector of streams. The Dongria have distinctive jewellery, tattoos and hairstyles. Women wear many rings through their ears and three through their noses, while boys wear two nose rings. 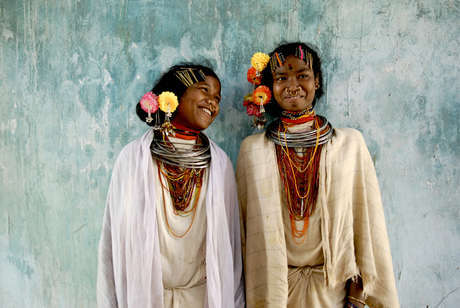 Dongria girls wear clips in their hair and rings and beads around their necks. The Dongria live in villages scattered throughout the hills. 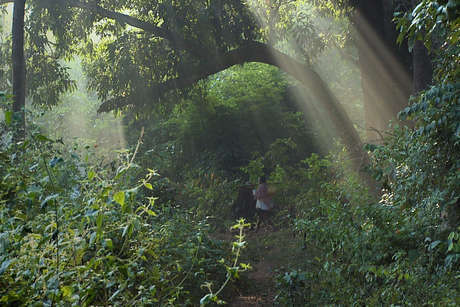 They believe that their right to cultivate Niyamgiri’s slopes has been conferred on them by Niyam Raja, and that they are his royal descendants. They have expert knowledge of their forests and the plants and wildlife they hold. From the forests they gather wild foods such as wild mango, pineapple, jackfruit, and honey. Rare medicinal herbs are also found in abundance, which the Dongria use to treat a range of ailments including arthritis, dysentery, bone fractures, malaria and snake bites. Dongria Kondh families often spend days in their orchards, keeping animals at bay with songs and drumming. The Dongria also cultivate orchards in the forest, producing crops such as oranges, bananas, ginger, sweet papaya and the aromatic resin jhunu, all of which are sold at local markets. A recent study found that the Dongria gather almost 200 different foods from their forests and harvest over a hundred crops from their fields. This amazing diversity sustains them year-round, with little need for food or goods from beyond their hills. The tribe also keeps chicken, pigs, goats and buffalo. Dongria men gather juice from the forest’s giant sago palm trees, a drink that provides energy for the long hikes they make throughout the Niyamgiri Hills. 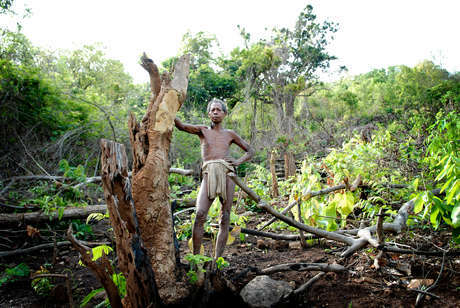 Strangely, mining company Vedanta says that this is ‘virgin land; no human interference has taken place’. Dongria choose their partners, but cannot marry within their clan. Before the wedding, the bride-to-be is paraded around all the houses of her village, and bathed in yellow turmeric-water. She then walks, veiled, to her husband’s village. Sacrifices are traditionally made after the harvest and before the planting of the new year’s crop, both in the villages and on the mountain tops. Each village has specific sites for sacrifices and worship of the mother goddess Dharni, Niyam Raja, and other gods of the hills. Each house also has sacred spaces for worship of the many domestic and local gods. Chickens, goats, pigs and – especially – buffalo are sacrificed. The Dongria Kondh have no over-arching political or religious leader; clans and villages have their own leaders and individuals with specific ceremonial functions, including the beju and bejuni, male and female priests. The Dongria believe that animals, plants, mountains and other specific sites and streams have a life-force or soul, jela, which comes from the mother goddess. 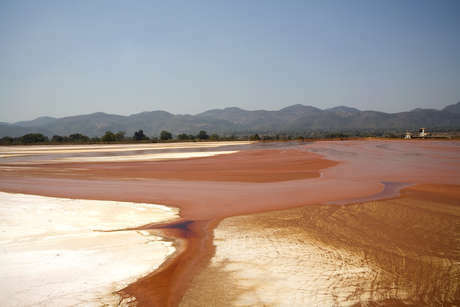 The bauxite-capped Niyamgiri hills soak up the monsoon’s rain, giving rise to more than a hundred perennial streams and rivers, including the Vamshadhara river. These streams provide the water that is vital for the communities who live in the hills, and provide critical drinking and irrigation water for those in the plains, where drought and starvation have made national news. The Vamshadhara provides drinking and irrigation water to millions of people in the states of Odisha and Andhra Pradesh. Over centuries, the Dongria have helped to maintain the rich biodiversity of their forests, where tigers, leopards, giant squirrels and sloth bears roam. Dongria bathing in the river. ‘The mountain brings all the water’ — Lodu Sikaka. 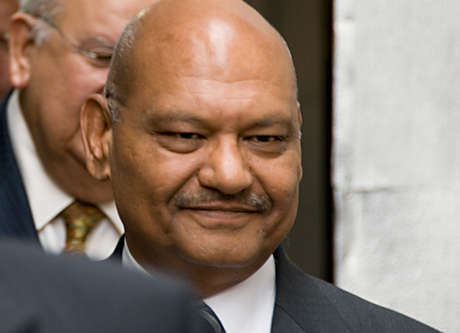 Vedanta Resources is a London-listed, former FTSE 100 mining company founded by Indian billionaire Anil Agarwal, who remains its Chairman and owns more than 50% of the shares. Had the mine gone ahead, the Dongria would have suffered immeasurable loss; their present good health, self-sufficiency, identity as a people and detailed knowledge of their environment would have been destroyed. A large proportion of the benefits would have gone to one man: Anil Agarwal. Even before receiving permission to mine, Vedanta built a refinery in the town of Lanjigarh, and started to work on the conveyor belt that would bring the bauxite straight down from the hills to the refinery. The refinery was approved by the government on the condition that no forest would be used; yet the claim was ‘patently false’ – Vedanta annexed 60 hectares of village forest, vital for local communities. The refinery also completely destroyed Kinari village, displacing over a hundred Majhi Kondh families to a settlement known locally as ‘the rehab colony’.This is a walled compound of concrete houses, circled with barbed wire. Residents have no farmland, and although some work as labourers for Vedanta, most survive on handouts. 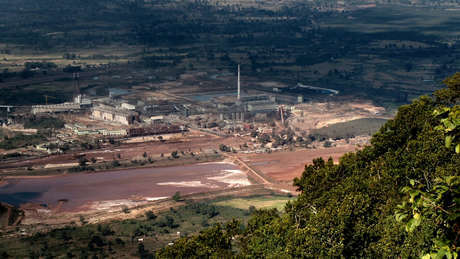 Vedanta’s aluminium refinery at Lanjigarh, Odisha, seen from the Niyamgiri Hills. Kondh villagers blame pollution from the refinery for skin problems, livestock diseases and crop damage. ‘Red mud’, a toxic slurry that is the refinery’s main waste product, dries to a fine dust in the sun. Government pollution inspectors have described ‘ground water contamination’ caused by ‘alarming’ and ‘continuous’ seepage of the red mud. The toxic waste has also leaked into the Vamsadhara river. Vedanta’s own plan states that mining would continue for 16 hours a day, 6 days a week for 23 years. ‘Oily’ sludge from machinery would be incinerated on site. The influx of mine workers – with heavy machinery and trucks – would place an enormous burden on the forests and wildlife, which would be exploited for firewood and food. The area would also become accessible to poachers and illegal loggers. Although Vedanta claims that they will plant trees once mining has finished, this is no compensation for the diverse wildlife habitat that will be lost, nor for the potential damage to the streams and rivers that flow from the hills. As the Kalahandi area is notorious for its droughts, the effects could be disastrous. The Dongria protested against Vedanta locally, nationally and internationally. They held roadblocks, formed a human chain around the Mountain of Law and even set a Vedanta jeep alight when it was driven onto the mountain’s sacred plateau. But as long as the refinery sits at the foot of their hills, they do not feel their mountain is safe and will not give up their fight. Their determination, tenacity and success has won them international acclaim and inspired tribal peoples across the country and around the world. ‘Vedanta has come here to destroy the Dongria. We will drive them away. They don’t have any right to touch our mountains. Even if you behead us, we are not going to allow this.’ — Rajendra Vadaka. 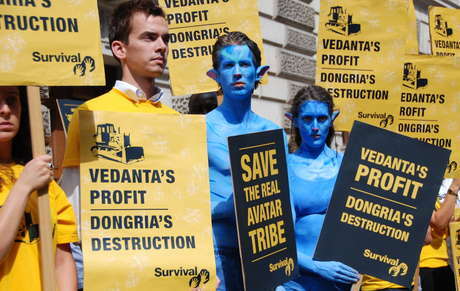 Survival has been supporting the Dongria and has lobbied the Indian government, as well as the UK, for the mine to be stopped. We have submitted detailed reports to the UN and the OECD. We have provided the Dongria with legal advice, and our researchers have spent many days talking to them in their communities (as well as being threatened and assaulted by pro-Vedanta ‘goons’). Our film ‘Mine’, on the Dongria’s struggle, has gone viral online. Our lobbying has led several important shareholders, including the Norwegian government and the Church of England, to disinvest from the company. 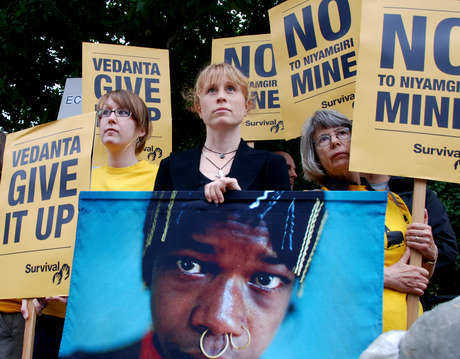 The Church of England said, ‘We are not satisfied that Vedanta has shown, or is likely in future to show, the level of respect for human rights and local communities that we expect’. 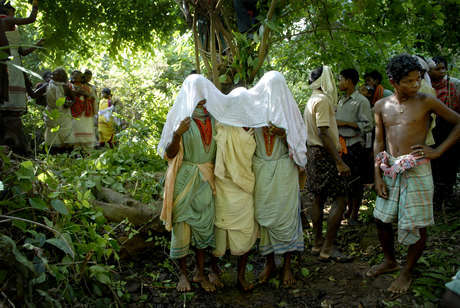 The UK government ruled that Vedanta ‘did not respect the rights of the Dongria Kondh,’ and ‘did not consider the impact of the construction of the mine on the [tribe’s] rights’. Their investigation concluded that ‘a change in the company’s behaviour’ was ‘essential’. 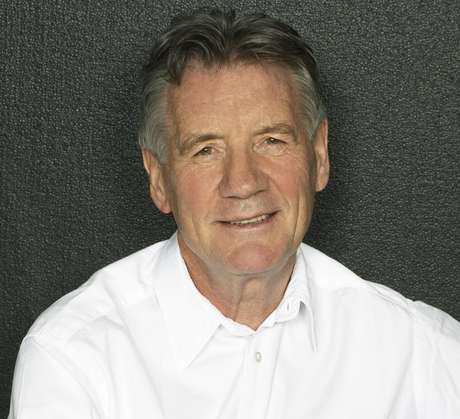 Survival has recruited celebrity supporters including Joanna Lumley and Michael Palin to the campaign. Human rights campaigner Bianca Jagger, and Booker Prize winner Arundhati Roy, have also spoken out. Charles Darwin’s great great grandson, the anthropologist Dr Felix Padel, has studied, lived with and championed the cause of the Dongria for years. How did the Dongria tribe take on a huge multinational corporation – and win? Mitu, a Dongria Kondh girl, outside her house in Orissa, India.